Water contains a large number of dissolved substances. These include all non-synthetic elements and many synthetic organic micropollutants, as well as lots of suspended matter, such as bacteria, clay and nanoparticles. By analysing a selected number of substances one can obtain a ‘hydrochemical fingerprint’, which reveals the historical background of the groundwater. Such ‘forensic hydrology’ can come in handy in the event of an environmental criminal offence or disaster. This was part of the message of the lecture, entitled ‘Detecting traces in groundwater’, that Prof. Pieter Stuyfzand delivered to the TU Delft’s Faculty of Civil Engineering and Geosciences (CiTG). 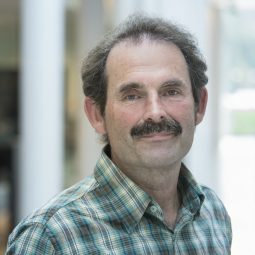 Stuijfzand works at KWR and holds the part-time chair of ‘Chemical Hydrogeology’ at TU Delft. Before presenting practical examples, Stuyfzand explained that even if the Netherlands certainly has one of the best drinking water provisions in the world, there is serious concern about the chemical condition of our groundwater aquifers (including those that are artificially recharged), which are the source of about 80% of our drinking water. The excellent image of groundwater is being tarnished primarily by its contamination with pesticides, industrial compounds, pharmaceuticals, etc. The arsenic disaster in Bangladesh is an example of an entirely different dimension. Of course, our water abstraction areas are protected and closely controlled, but this isn’t enough. The soil’s self-decontamination process, for its part, is also not fully adequate. 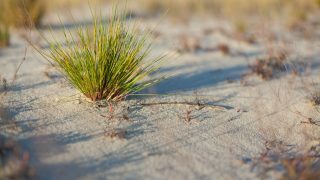 The first example of ‘detecting traces’ shows how ecohydrological restoration in dunes using artificial infiltration has an adverse impact on arsenic. The second example takes us to the desert dunes in Abu Dhabi, where the naturally present chromate and other heavy metals threaten to frustrate the subsurface storage of demineralised seawater. The last example refers to the behaviour of synthetic organic compounds, such as pesticides, pharmaceuticals and personal care products, during their ground passage in groundwater aquifers fed by surface water. In this context, WWTP effluent constitutes an important source, which impedes its direct reuse in cases where its treatment process does not go significantly beyond the third step. Establishing the degradation speeds of synthetic organic compounds during ground passage is important for assessments in the approval of new compounds, and in determining the intake strategy and pre-treatment for artificial infiltration systems. These speeds depend on more factors than the redox environment (aerobic level) alone. This makes long-term on-site measurements necessary. The disappearance of many ground passage measurement systems due to budgetary constraints is regrettable in this regard. 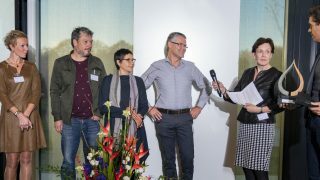 Stuyfzand presented three new projects in which CiTG doctoral students are, or will be, working, and in which substance behaviour plays a key role. 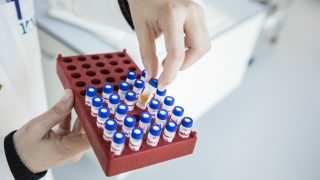 The first relates to well clogging and, among other things, involves the first application of Next Generation DNA Sequencing to identify well leakages and the genesis of deposition reactions. The second has to do with ‘DNA water labelling’, using dosed microspheres to acquire a spatial picture of flow paths and substance transport. 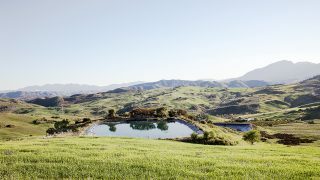 And the third (AgriMAR) deals with the subsurface storage of a specific land parcel’s drainage water, with the objective of removing pathogens, reusing pesticides and fertilisers, and improving surface water quality. This last project fits in with the integrated set of solutions for freshwater management in overpopulated coastal areas, which KWR, together with Arcadis and Deltares, has framed in the COASTAR (COastal Aquifer STorage And Recovery) initiative. 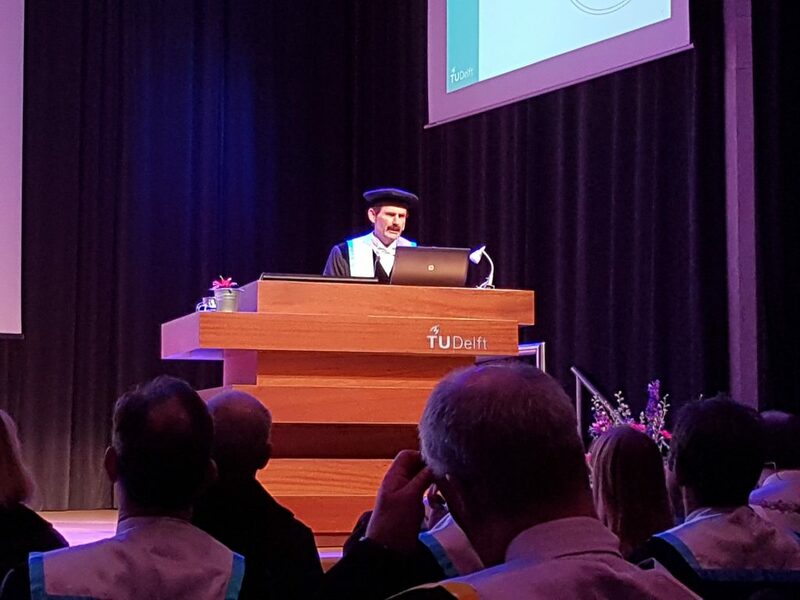 Stuyfzand concluded that the university chair plays an important bridging role between KWR’s practice-oriented research and the more scientific research done at CiTG, as well as between the different CiTG sections that work with various aspects of hydrogeochemistry. In conclusion, he advised policy-makers to put more effort into the following subjects: (1) stricter manure and pesticide policy; (2) subsurface storage of freshwater if it is of good quality; (3) development of new techniques to rapidly remove suspended solids from rainwater to make it easier to store in urban subsurface areas (with less clogging); (4) extended pre-treatment of WWTP effluent (e.g., with an RO step), because this water contains too many hazardous compounds, particularly in the summer; and (5) water as a medium for energy storage. Stuyfzand foresees an increased workload for lawyers in the water field and for forensic hydrologists, because the increasing level of activities in the subsurface will produce considerable tensions.